Dynaspede has been a frontline solution provider for customised test systems to the Automotive, Aerospace, and Defence segments, meeting their Test & Measurement needs for validating all types of drive and driven elements. 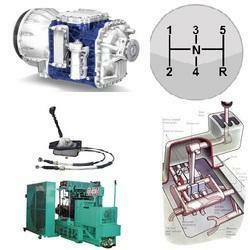 The unparalleled range of offerings available from this association includes the world's largest variety and range of dynamometers along with test solutions for all types of driving and driven elements—Engines, Motors, Actuators, Transmissions, Axles, Gearboxes, Shafts, Chains, Brakes, Clutches, and Vehicle test systems. The offerings are supported and complemented by an impressive network of application and product support teams based at strategic locations throughout the country. Dynaspede Test rigs are designed to provide a self-contained platform to conduct a comprehensive range of validation tests on motors. PC-based intelligent control system, integral to the test bench, ensures proper sequencing of tests and recording of data for analysis and outputting various information in the form of tabulated and performance graphs. The automated test sequences can be performed by selecting appropriate setup Menu on the dedicated PC-based control system. Performance / endurance testing of power transmitting chains demands conditions of adjustable speed, adjustable load and tension values continuously over a period of time long enough to stabilize their aging characteristics. 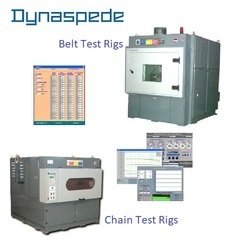 Dynaspede makes Test Rigs for testing of power transmission chains for both automotive chains and industrial chains. 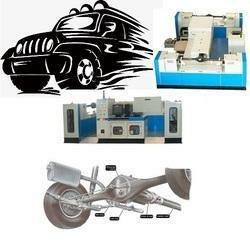 Automotive chain test rigs are built around AC regenerative form of loading system. The test rig has many exclusive features including testing of varying lengths of chain, motorized servo control tensioning mechanism, smart spindles for on-line measurement of tension, and non-contact temperature measurement. Industrial chain test rigs are built around Dynaspede’s exclusive Di-Vector technology. Dynaspede’s proprietary Di-Vector technology is a step ahead of the popular 4 square method of testing for power transmission components. This technology, (under patent) was developed and field tested by Dynaspede as an energy-efficient alternative for full load testing of power transmitting components operating under varying load profiles and duty cycles. 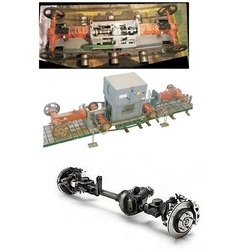 Dynaspede offers unparalleled solutions in application areas of bearings and more. We are well-equipped to handle operations demanding a synergic combination of mechanical, electrical and electronic expertise. Test and measuring for real life verification/validation of CAE designs are offered for implementation. The Axle and Shaft Test bench is built for Performance and Endurance study of the SUV rear-axles and propeller shafts, based on the concept of Dynaspede’s proprietary Di-Vector technology. This design is based on the concept of deriving the speed and torque from two independent sources with no interaction between the two. In this concept, the rear-axles are connected back to back and run at required speeds by a relatively low power motor which has to overcome only the frictional losses in the mechanical system running at maximum speed. The desired torque is applied from an independent source that provides a relative twist between the two transaxles. 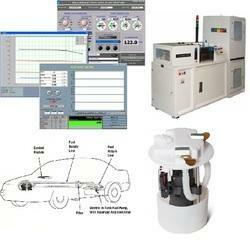 Another salient feature in this test rig is simulation of vehicle turning condition. Dynaspede’s innovative ‘over-drive’ mechanism enables the test axles output to run with a definite differential speed between them. The differential speed along with the periodicity at which the turning is to be simulated, and the test cycle configuration can be set on the PC and the rig can be run un-manned for long durations accordingly. Transaxle Test Benches perform endurance testing of trans-axles at variable speeds and variable loads with emphasis on conservation of power and reduction in installed power. Conventionally the trans-axle is driven from an electric motor using a loading device for exerting braking torque on the test unit. The testing power drawn is absorbed in the loading device, and dissipated into heat. In the regenerative system the braking energy is regenerated back into the mains, and power is consumed only for overcoming frictional and conversion losses. By the use of Di-vector technology, the same full-load test conditions of the transmission element can be achieved from a power source just adequate to keep the test bench running under no-load. 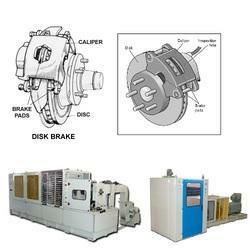 This condition demands little power to overcome the frictional and mechanical imperfections in the machine. Dynaspede’s proprietary Di-Vector technology is a step ahead of the popular 4 square method of testing for power transmission components. This technology, (presently under patent formalities) was developed and field-tested by Dynaspede as an energy efficient alternative for full load testing of power transmitting components operating under varying load profiles and duty cycles. This concept provides the driving power, self-generated within a synchronously driven mechanical loop, without the need for additional power except to overcome static losses in the system..
Dynaspede's Gear Shift Test Rigs validate the design limits of endurance of gear shifter linkages under cyclic operating conditions. 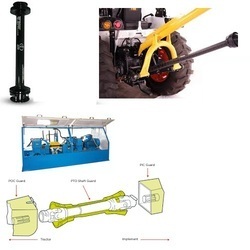 The Test bench has adequate versatility to put to test a variety of designs and validate the design limits of endurance of the shifter linkages under adverse operating conditions. The test bench automates all cyclic sequencing with dynamic simulation of load profiles arising due to acceleration and deceleration of inertial loads of vehicles. The sequential testing in single or double clutching modes of gear shifting are possible by appropriate set-up menu on a dedicated PLC system and associated man-machine interface. The test bench accepts the test unit consisting of transmission case, centre housing and trans-axles with the two wheels mounted on them. The gear shifting sequence and dwell time in each gear position, as mapped in the software, are repeated for a specified number of cycles or till onset of failure. Dynaspede's Automated Test Bench for Production Line Testing of Gear Carrier Assembly is designed to provide a self-contained platform for verification of gear carrier assemblies on the production line in terms of monitoring the frictional torque and observing the gear-mesh pattern. The test benches in this category are designed for evaluation of the torsional strength / endurance life of the propeller shafts / PTO shafts of automobiles and Aircrafts. The torsional strength of the shafts can be determined either in static or in dynamic loading conditions. Endurance test rig for testing of aircraft PTO shafts based on Dynaspede’s proprietary Di-Vector technology is capable of simulating the exact conditions of the testing, like introducing misalignment, varying speed and torque. It is designed for high speed testing of the shafts, with the speeds adjustable up to 22,000 rpm under no-load and up to 16,800 rpm under controlled loaded condition. The preset values of torque and speeds are precisely applied to the shaft to test the performance capabilities of the shafts. 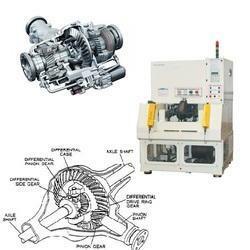 The desired torque for testing the shaft is provided from the geared motor through the torque valve. The rig has provision to introduce adjustable axial misalignment up to ±15mm and independently adjustable angle misalignment up to ±1.5° from its neutral co-linear position. The controls of the test rig, is either by a PC-based control system or by a simple manual control system. The Dynaspede Test Rig for Electric Rotary Actuators is designed to validate the performance of rotary valve actuators in process industry applications. The floor-mounted, self-standing, low vibration test structure is provided with integrated controls. The test sequences are programmed and automated through a PC based control system operating with dedicated engineering software. Dynaspede designs a variety of custom-built automated, computerized test rigs for endurance study on servo-hydraulic and electro-mechanical actuators and actuator motors. These test benches perform various tests in the proper sequence, simulate programmable load profiles, and acquire / and store data on performance parameters of the test actuators / motors. Dynaspede offers brake dynamometers designed to conduct qualifying tests on Aircraft brake pads for validating their design capabilities to absorb specified amounts of Kinetic Energy (under simulated conditions) and to exert expected braking torque as needed . The test rig is based on the concept of electrical simulation of mechanical inertia, facilitating an infinitely adjustable Inertia system, required to represent Kinetic Energy of different Aircrafts. Besides, this concept provides a means to compensate for system losses as well as to drastically reduces the set-up time for test. Automation involves PLC-based control system and PC-based Data acquisition system with customized software. This brake dynamometer from the Dynaspede stable is designed to conduct validation tests on a range of brakes—both disc brakes and drum brakes. The test rig employs a unique methodology wherein the value of "friction coefficient" can be directly measured without having to go through the process of calibrating the machine with samples of known “friction coefficient” values. The brake dynamometer consists of electro-mechanical components needed to drive different selectable inertia wheels and to simulate controlled hand / foot operated forces to actuate the brake under test in order to subject them to cyclic operating conditions for validating their performance parameters. 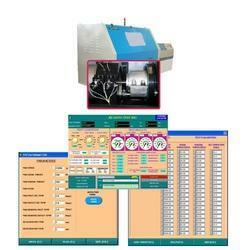 Automation involves PC-based data acquisition system with customized software.